TB, 38″ (97 cm), Midseason to late bloom. 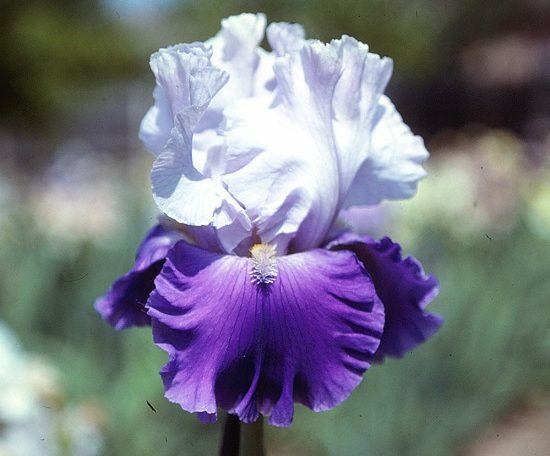 Standards light violet-blue(RHS 97C); Falls full blue-violet (90C); white beard. ‘Coolhead’ X ‘Margarita’. Mohr Gardens 1978.